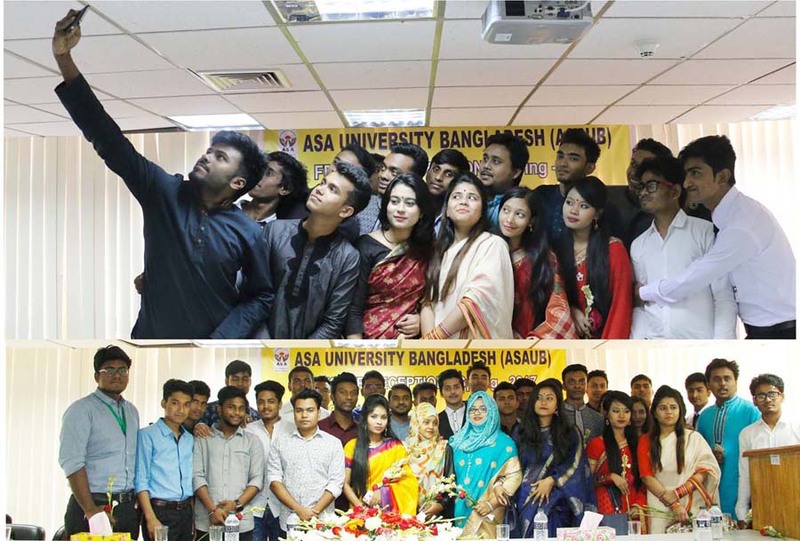 ASA University Bangladesh (ASAUB) arranged a Fresher Reception Program for its newly admitted students of Spring Semester-2017 on 27 February 2017 at ASA Conference Room 9th floor. 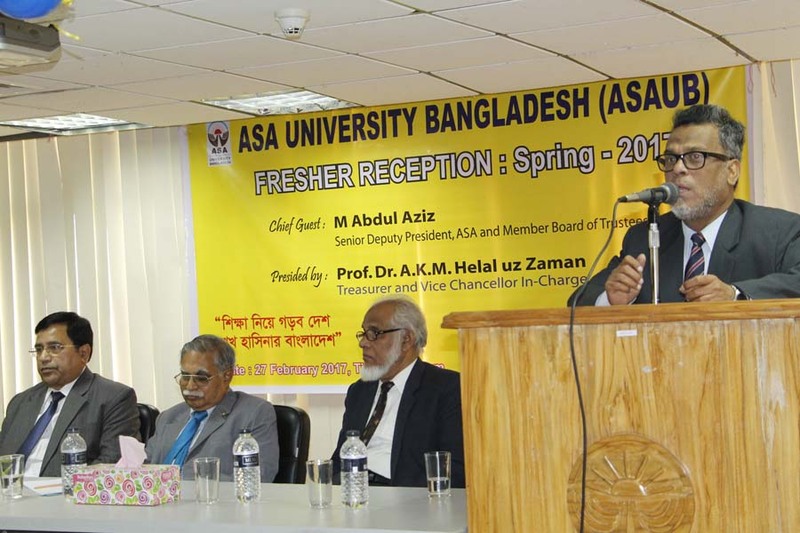 Mr. M Abdul Aziz, Honorable Senior Deputy President , ASA and Member Board of Trustees, ASAUB was present as the Chief Guest while Dr. A.K.M. Helal uz Zaman, Honorable Vice Chancellor (In-Charge) & Treasurer of ASAUB Chaired the ceremony. 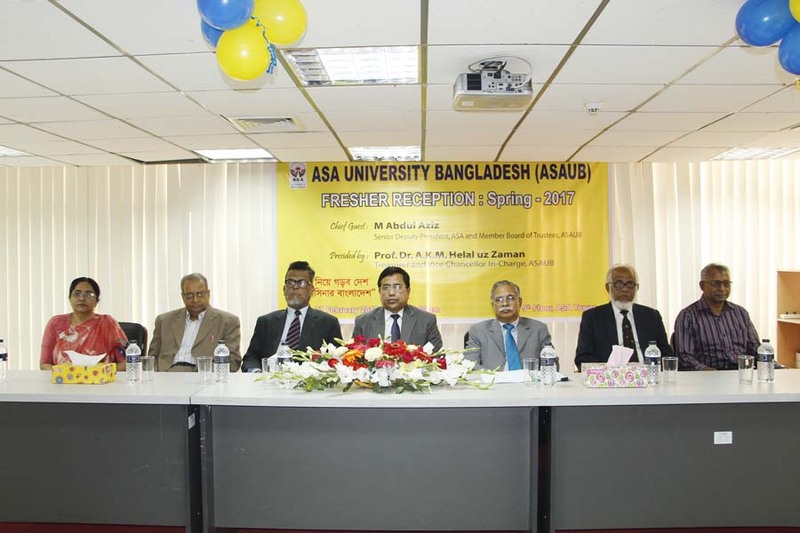 Prof. Iqbal Ahmad, Dean, Faculty of Business, Prof. Dr. Abu Daud Hasan, Dean, Faulty of Arts and Social Science and Chairman, Department of English, Prof. Dr. Kohinur Begum, Dean, Faculty of Science & Engineering, Mr. Md. 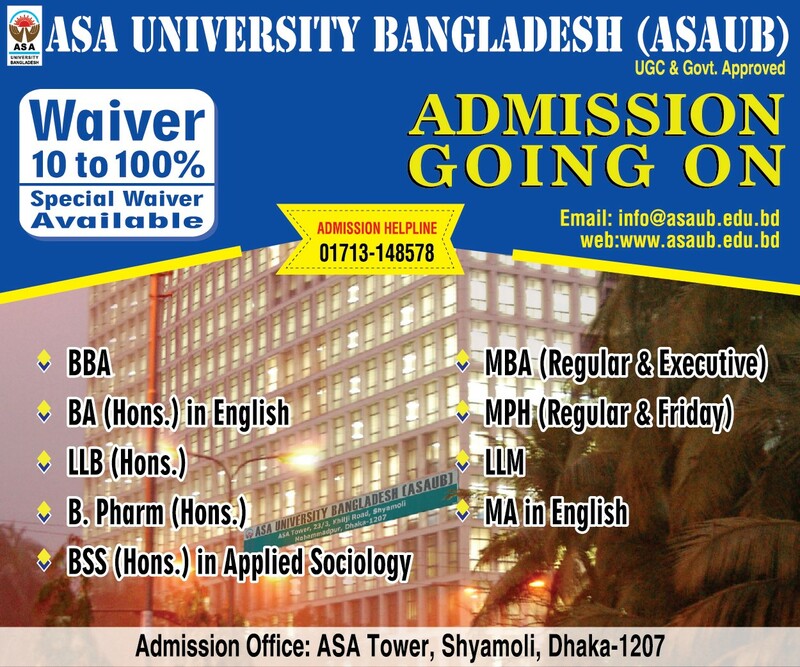 Saiful Alam, Acting Dean, Faculty of Law, Prof. Iqbal Hossain, Chairman Faculty of Business, Dr. Ahasun Habib, Chairman, Dept. Of Applied Sociology also spoke on the occasion. Mr.Sheikh Md. Razab Ali, Registrar delivered the welcome speech. 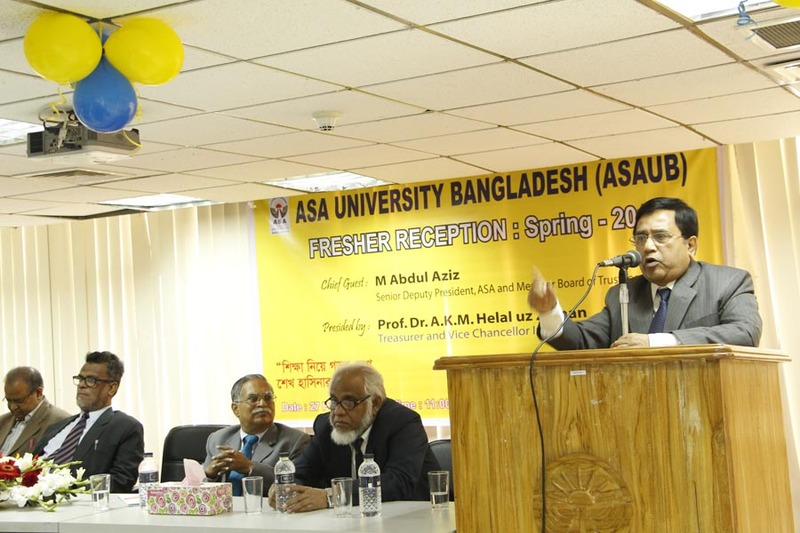 The speakers highly appreciated the students for selecting ASAUB as their venue of higher education. 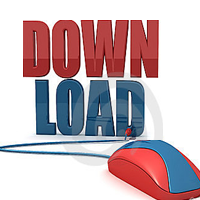 They appraised the facilities available at the University. 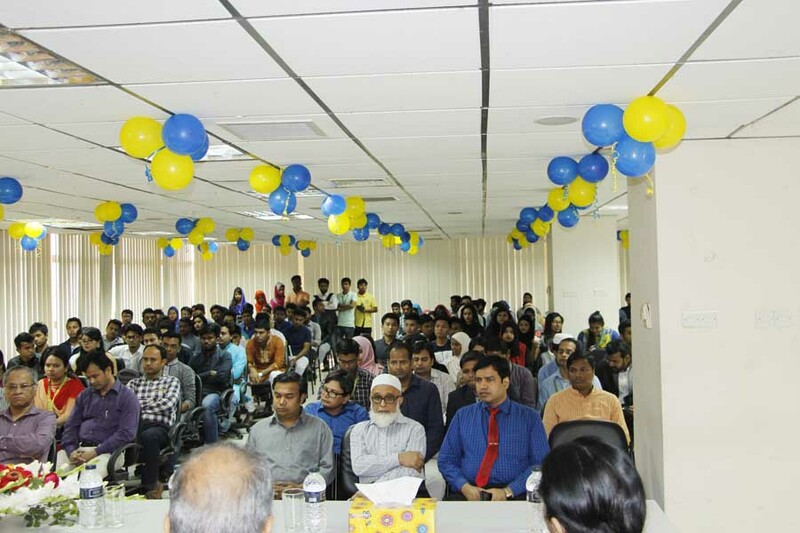 They highlighted job opportunities of the concerned programmers at home and abroad. 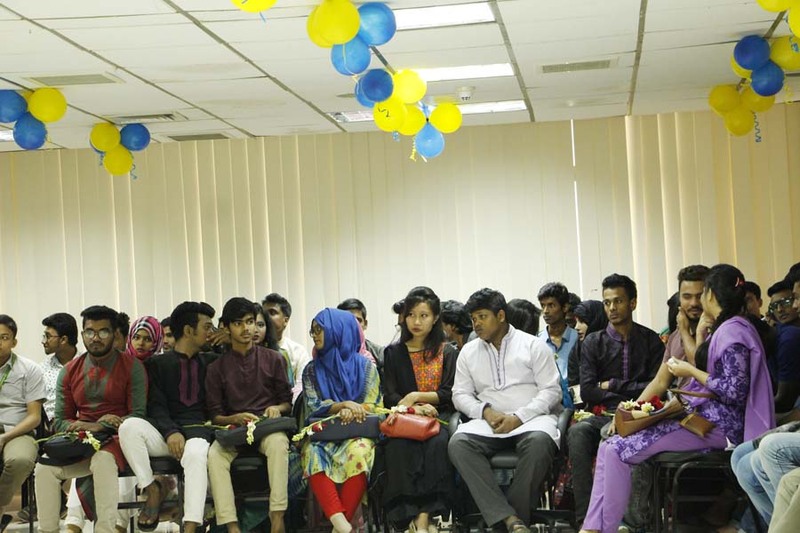 Newly admitted students highly appreciated the quality of education as they are receiving in ASAUB. 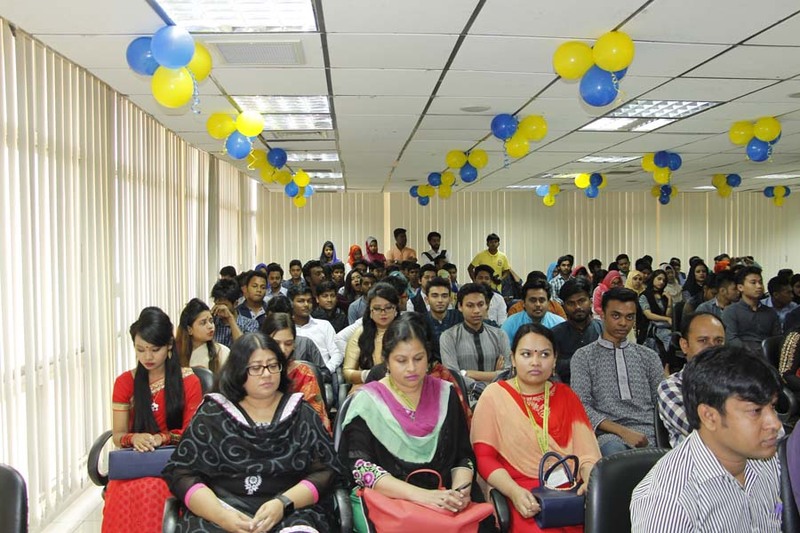 Faculty members, administrative officials and students of different departments were also present in the program.